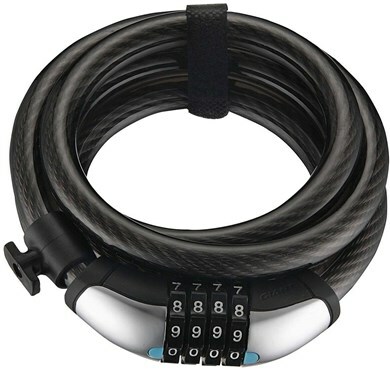 Giant's Surelock Flex Coil 15 is simple but effective combination lock with 4 fluorescent digits - giving up to 10,000 variations. A 15mm heavy duty flex cable provides good resistance from sawing attacks. The cable itself is also covered in tough vinyl so your bike frame doesn't get scratched. A useful addition is the quick release mounting bracket allowing you to fix the lock to your frame as you ride rather than store in your pocket.